Missing teeth is a common issue and finding the best solution for patients is our goal. Dental implants are permanent replacement tooth roots. They are made of titanium and are attached to the jaw bone. 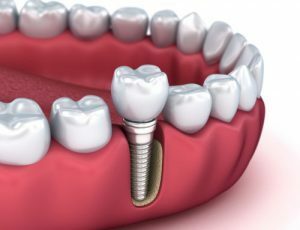 Dental implants can be used to replace one or more teeth. They are also used in conjunction with dental bridges and dentures. Dental implants are inserted into the jawbone. Once the area heals, an abutment is screwed on top to receive the dental crown. If the implant is used with dentures, the area will still need to heal beforehand. The procedure is not painful because we use a local anesthetic for your comfort. After the procedure, you may experience mild pain but over-the-counter medicine will help alleviate the pain. Dental implants offer the best solution for teeth replacement but can not be performed on every patient. Those suffering from diabetes, bleeding disorders, and other health conditions will need an alternate solution. 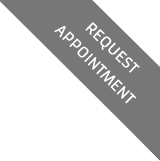 Your consultation will include a medical history review for your best interests. The procedure will vary as each patient will have different needs. For example, some situations will require sinus augmentation, bone grafting, and tooth extraction. How long do I have to wait after teeth removal? We offer immediate and delayed surgical implant placement. Some patients may be eligible to receive dental implants on the same day as teeth removal. It depends on the jaw bone structure. We use preoperative 3D imaging to confirm eligibility. If not, a delayed option is considered. This may include bone grafting which needs months to completely heal before receiving the implant.